I’m sure there are many people out there who want to join the competition but are holding back for various reasons. Maybe they think they can’t win without a professional video. Maybe they think there’s other competitors who are better than them. Maybe they are just afraid people will laugh at them. We’ve seen articles by people in the music industry encouraging people to join the competition. “Easy for them to say” you might think, “they’ve already made it”. So I wanted to give a different perspective on why you should join coming from someone who was already in this competition, lost the competition big time and won from it even bigger. I hope this changes your mind. Instead of focusing on the winners like everyone tends to do, let’s focus on the losers. While Binyomin Moshe took the title, you’ve certainly noticed that Shuky Sadon and Avraham Ohayon from the 3 finalists have been far from forgotten over the last year. 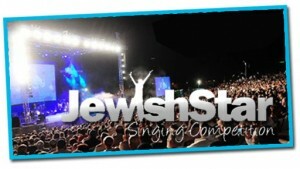 They have both been in-demand performers and undoubtedly gained tremendously from their exposure on Jewish Star. Then think about Boruch Shalom Blesofsky! He has become a house-hold name, putting out 2 amazing music videos and is apparently working on a full album now. In a couple years when he is G-D willing a huge star – do you really think anyone will remember the fact that he didn’t actually make it to the top 3? Of course not. He took what many might consider a “loss” and realized that the exposure he received as a top 10 finalist was enough of a jumping board to launch from. So much so that he didn’t even feel the need for a repeat entry because he already got what he needed out of it. Now let’s look at me… HUGE loser, right? I didn’t even make it to the top 10! As far as anyone knows I might have been the lowest voted in the whole competition! I should probably regret auditioning in the first place, right? Not a chance! My audition from a messy office with a broken fax machine and no music got enough people interested that I was asked to record a Sefirah feature for COLlive last year. Thus COL’s Chavlog (Nigunei Chabad Video Blog) was born. Though we kept it running only through Sefirah, the demand for a relaunch has been so great that there are now plans to restart the Chavlog as a regular feature. Not bad for a loser, huh? I can’t begin to tell you how many times I’ve been approached by strangers who tell me how much they loved the Chavlog, or thanking me for turning their kids on to nigunim – or even just plain poking fun at me. “Hey, Sheichet” they sneer “sing us a nigun heh heh”. Hey, at least they know who I am. The bottom line is that I’ve gotten an unbelievable amount of exposure from an audition most people would be embarrassed to even submit. Stop worrying about who you can beat or you can’t beat. I’m iy”h submitting again this year. I’m not worrying about the fact that with 4 kids I can’t justify the cost of making a video like Aaron Holder (brilliant btw, I love that guy). Nor am I worrying about if my voice is better than his or not (and he has a stunning voice). First of all, I’m at my best on stage, I don’t know how he is live, so it’s any one’s game. Second, I don’t have to be better than Aaron or any other contestant. I just have to be the best that I can be and put myself out there for people to appreciate. Even if I don’t make it to the top 10 and never get to even compete against competitor X, I’ve gotten great exposure just by entering a submission and that’s what I think people miss. The prize here isn’t the money, the single or the car. The real prize here, if you are at all serious about music, is available to every one of us in the form of a huge opportunity for good exposure by simply putting in a submission! So take it from a loser and make the winner’s choice. Submit your audition now!